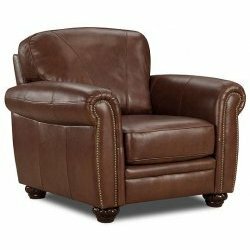 Buying a Brown Leather Armchair? You are here: Home / Leather Furniture / Buying a Brown Leather Armchair? 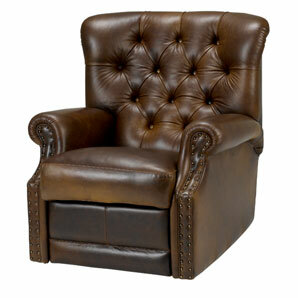 Are you thinking about buying a brown leather armchair ? If you are, then this article is for you as there are a variety of points you may like to consider before making your purchase. For example, what are you saying about yourself when you use a natural material like leather in the construction of your home furnishings? Is the color brown the best choice? Armchairs are all about comfort, so is choosing a brown leather chair the best choice for you? At the end of this article you will have more information that will enable you to make a better choice before purchasing your new armchair. In the introduction the question was asked about what it says about a person when they choose to buy an armchair that is made from animal byproduct such as leather. On the positive side leather is a natural material that is both organic and renewable. While there have been some concerns about the chemicals used in the tanning process in the past this situation is rapidly improving. Of course some animal rights activists and perhaps some vegetarians may object to furniture covered in leather and this is a factor that you should be aware of. 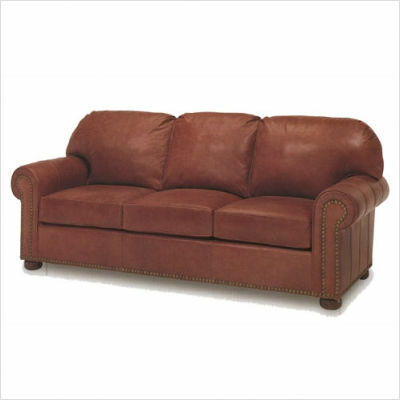 One great quality of a leather furniture covering is its durability and the ease with which it can be cleaned. If your furniture is likely to get a lot of use, or perhaps is likely to get dirty often because of pets or children, then leather is a great choice. Some people may tell you that brown is boring, while others will tell you that brown is the new black and is incredibly popular. The simple truth is that fashion for color changes often and most people will not be changing their furniture regularly. My advice here would be to avoid the influence of the fashionistas and choose the color and shade that you are happiest with. There are after all a multitude of shades available all the way from near white to almost black. Choosing a darker color is always an advantage of furniture that will get heavy use and there should be borne in mind. One of the reasons why people choose armchairs rather than other forms of seating is the desire for comfort and opulence. A brown leather armchair is certainly the opulent choice. Comfort can vary wildly on the other hand and in common with buying most furniture it really needs to be tried out in person to assess suitability for the purpose to which you intend to put it. For example, if you are buying an armchair for personal use in a room in your house then the only person it has to fit or match to is yourself. If on the other hand you are buying for business then you must ask yourself does this purchase and the right message and will it be suitable for my clients? To illustrate, slightly oversized furniture sends out a message of affluence as well as comfort which can be used to great effect in certain types of corporate business catering for adults, but that same furniture will become a liability if it were used in the office of the paediatrician as children could not climb up and sit in it easily. So there we are at the end of our discussion about a variety of points that you may like to consider before making a purchase decision about your new brown leather armchair. I hope that you are happy both with the information that you have received and with your eventual new purchase. May it bring you much comfort. Now go out there, using this new information and buy the best brown leather armchair you can find!